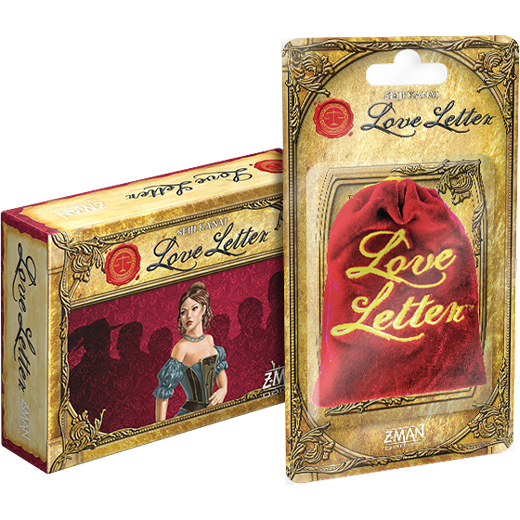 Love Letter is a game of risk, deduction, and luck, for 2�4 players. Designed by Seiji Kanai, the game features incredibly simple rules that create dynamic and exciting player interactions. Players attempt to deliver their love letter into the Princess�s hands while keeping other players� letters away. Powerful cards lead to early gains, but make you a target. Rely on weaker cards for too long and your letter may be tossed in the fire! This is the same as the standard edition Love Letter, but comes packaged in a sturdy box rather than the previous plastic blister pack.